Endangered species of birds and animals in Twyford have been given a new lease of life following a £10,000 donation from The Southern Co-operative to Hampshire & Isle of Wight Wildlife Trust to help it purchase a 31-acre farm. 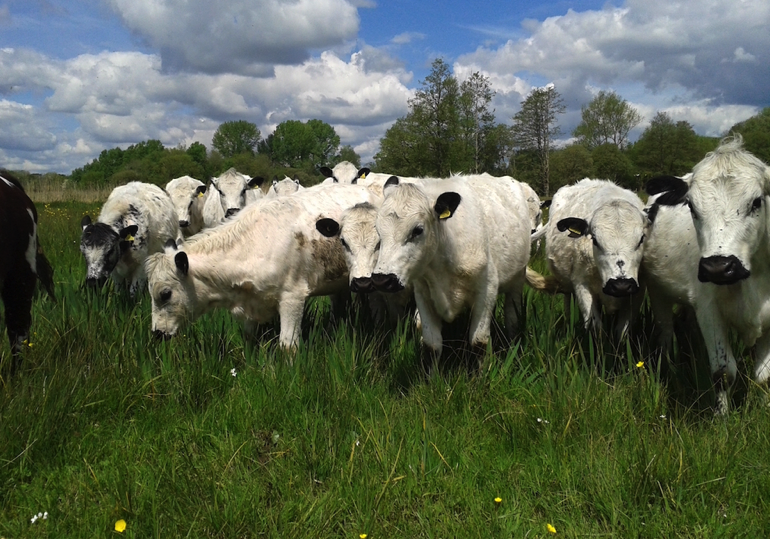 Hockley Meadows Farm – situated alongside the B335 in Twyford – sits within a significant area of floodplain meadow, which supports key species such as water vole, otter, marsh marigold and the rare southern damselfly. Hampshire & Isle of Wight Wildlife Trust urgently needed to raise £200,000 in order to complete the purchase – and in February the charity announced that it had smashed that target, generating £232,000. Gemma Lacey, Director Sustainability & Communications at The Southern Co-operative, said: “We are delighted to support the Hampshire & Isle of Wight Wildlife Trust in their project. We work jointly with the 10 Wildlife Trusts in the Southern regions – from Somerset to Berkshire and across Hampshire, Sussex and Kent – to share ideas and inspire our colleagues, members and others to discover their wild side and green their neighbourhood. The Southern Co-operative has donated over £45,000 – as well as working to champion local wildlife at their Oaks Crematorium in Hampshire and Clayton Wood Natural Burial Ground in West Sussex – in a partnership with the region's Wildlife Trusts that spans seven years. The Southern Co-operative is an independently owned regional co-operative society based in southern England. 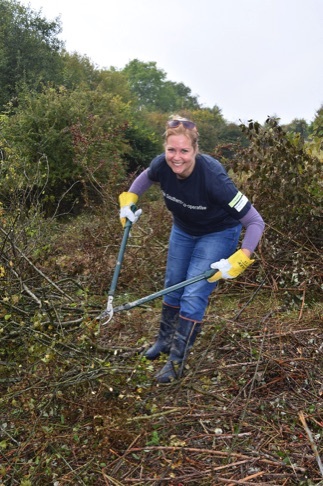 Left: Gemma Lacey, Director of Sustainability and Communications at The Southern Co-operative, rolls up her sleeves for the Wildlife Trusts.